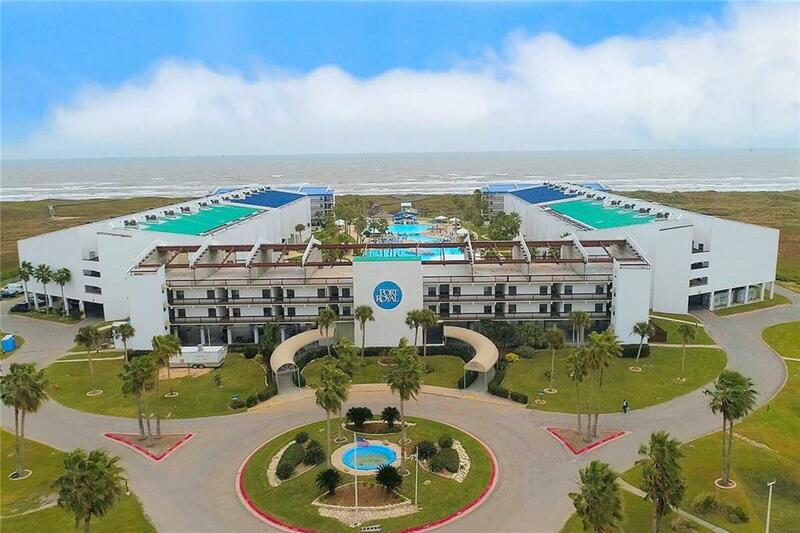 Amazing Gulf views at BEACHFRONT Port Royal Resort! This sweet 2 bedroom has adorable updates & has one of the best views of the water you can get in buildings 3 or 6! 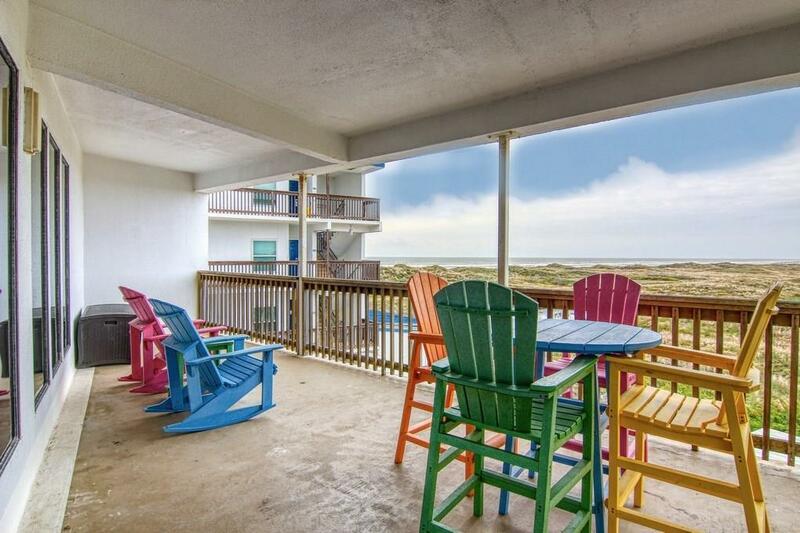 Located all the way at the Gulf front end of the south building for AMAZING views straight to the beach!! This cutie features great finish-out with a massive custom-tiled shower in the master, tile flooring throughout, adorable coastal blue cabinets and beautiful high-end furnishings! Why stay in someone else's investment? Own your OWN piece of paradise at this premier full-service resort! 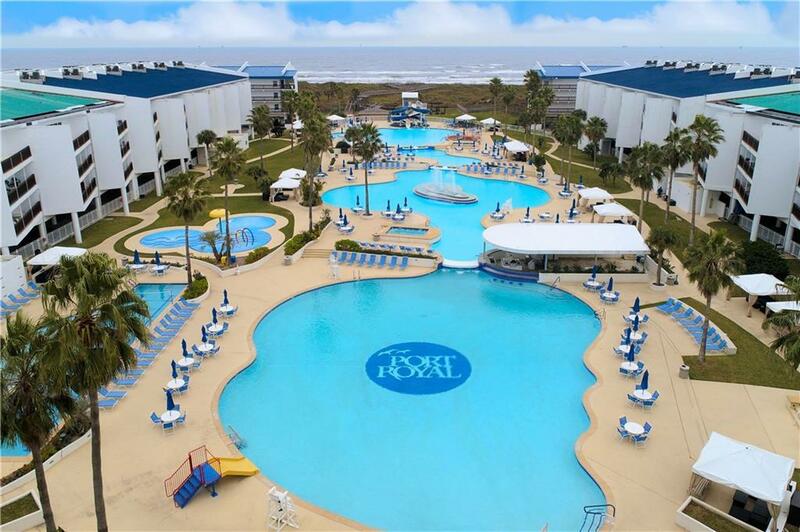 Port Royal has all the amenities you could want: beach walkover, Texas' largest swimming pool with slides, a heated lap pool, kids' splash pad, swim-up bar, multiple hot tubs, pool-side cabanas, several on-site dining options, tennis & volleyball, covered parking, a gift shop & even fitness & sandcastle lessons onsite! 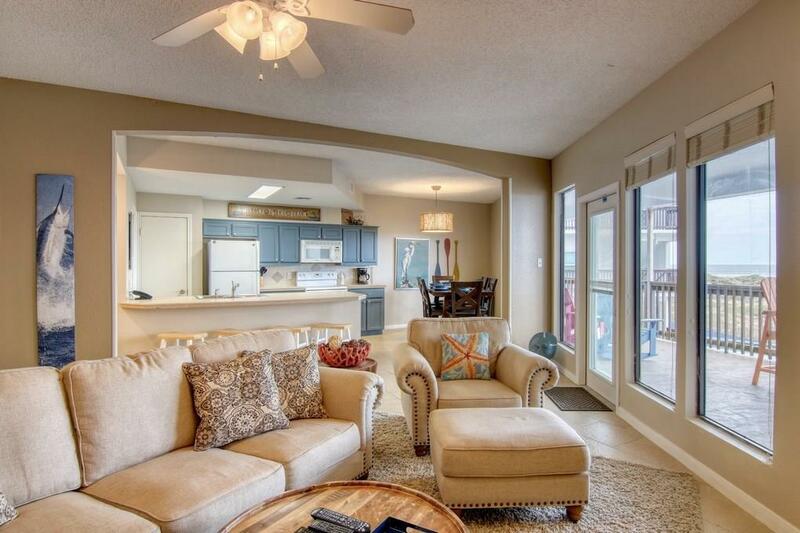 Furnished & offered turnkey - just bring your flip flops! 2018 taxes $3175/yr, HOAs $1843.06/mo.